Property Details: 4 Bedroom, 4 Bath beachfront home with 2600+ sq. 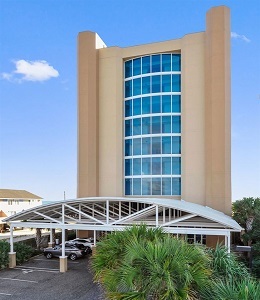 ft.
Perdido Key Real Estate Sales, Atlantis condominium home. This beautiful corner unit in a low density rent restricted complex comes lavishly furnished and in a great condition. The unit has 4 large bedrooms with each having its own private baths. It also has beautiful travertine flooring and its own private foyer entrance from the private elevator. Also has a wet bar complete with ice maker, granite in the kitchen and bathrooms, automatic hurricane shutters, a great sitting area in the master bedroom, and a unobstructed eastern view! Come see this resort home at Atlantis in Perdido Key FL.